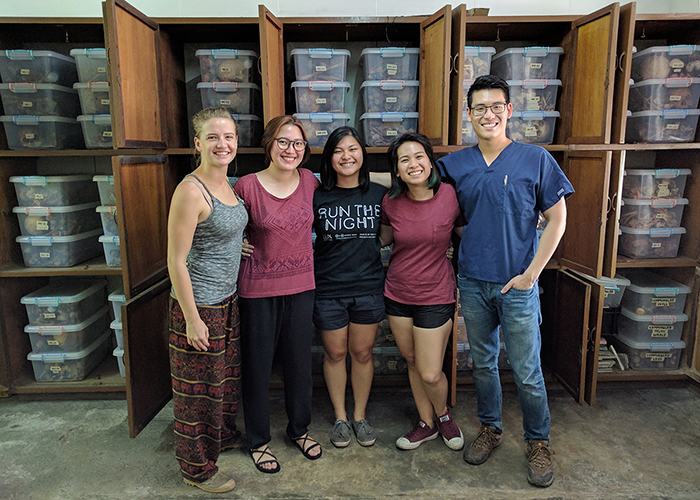 Graduate student Matthew Go aims to broaden the understanding of Filipino skeletal variation, an effort that will enhance efforts to identify human remains. His photo is a semifinalist in the 2018 Image of Research competition. 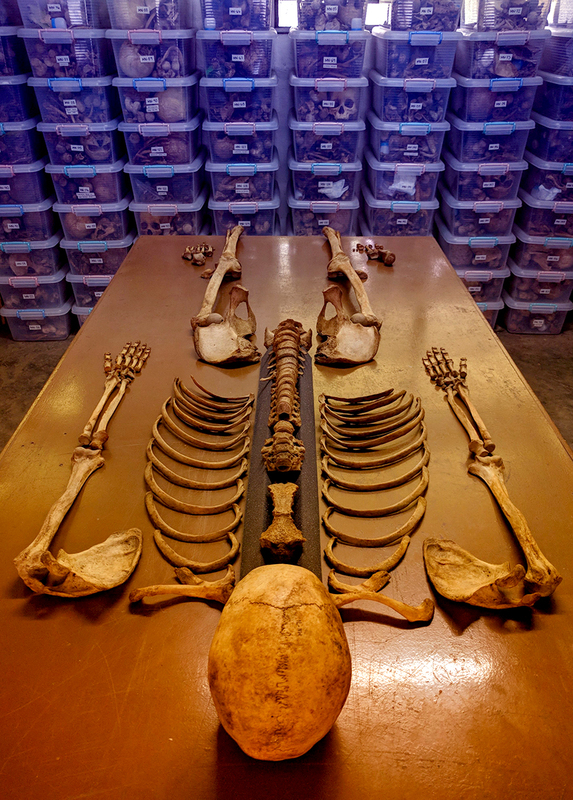 CHAMPAIGN, Ill. – Deaths from homicides, accidents, disasters or armed conflicts can result in unknown human remains that require identification before further investigation. To identify these remains, an anthropologist can piece together details about a person’s life from their bones. The accuracy of such anthropological methods depends on the diversity of available skeletal research collections, of which there are few around the world. The majority of current methods are based on studies of skeletons of European or African descent, largely reflecting American demographics prior to the 1950s. Given the wide range of global human variation, anthropologists must address the effects and limitations of method applicability on understudied groups. Filipinos are an incredibly important yet understudied demographic given their large population sizes, widespread diaspora, unique genetic histories and the Philippines’ frequent experiences with disasters, fatalities and hostilities – both natural and man-made. 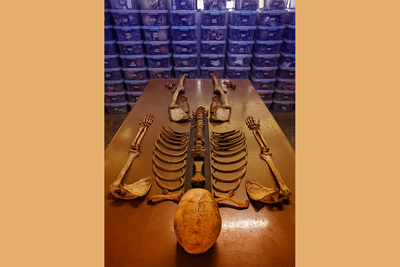 Go, right, established the first Filipino skeletal research collection in the world, which is housed at the Archaeological Studies Program of the University of the Philippines Diliman. His 2017 research assistants included, from left, Giswinne van de Wijdeven, Annie Valera, Jana Santos and Nikki Vesagas. My research seeks to diversify our knowledge of Filipino skeletal variation and how it can be applied to forensic contexts. Toward these goals, I established the first Filipino skeletal research collection in the world (pictured in the background in both photos) from which population-specific methods can be derived. The collection is accessible to scholars internationally, ensuring the production of knowledge grows beyond the limits of my dissertation. The Image of Research is a multidisciplinary competition celebrating the diversity and breadth of graduate student research at the University of Illinois at Urbana-Champaign. The semifinalists have been selected based on their submissions’ originality, visual impact and the connection between image, text and research. The Image of Research is organized by the Scholarly Commons of the University Library and the Graduate College, and is supported by a gift from the Division of Intercollegiate Athletics. To see all 25 semifinalists and for more details about the competition, go to the #imageofresearch18 Instagram account.